People with low levels of hemoglobin (Hgb) and hematocrit (HCT) in their blood will often suffer from a condition called anemia. If the Hgb levels should fall to the low side, there will not be enough oxygen throughout the body or in the organs. This can cause difficulties in how efficiently the body runs itself. Getting to know a hematocrit count can determine the amount of red blood cells in your entire body and is used as a diagnostic aid in identifying ailments and administering the appropriate treatments. 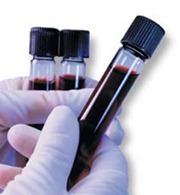 The levels of Hgb and HCT depend on the red blood cell count. Red blood cells are produced in the body’s bone marrow and sent out into the bloodstream. Hemoglobin is important to the red blood cells because it is an iron-rich protein which carries oxygen from the lungs to all different parts of the body. It is also what gives your blood its red color. The hematocrit levels show the actual percentage of red blood cells in a given amount of blood. Generally speaking, normal hemoglobin levels will be about a third of normal hematocrit levels. Figuring out hematocrit levels in the blood is done through Mean Corpuscular Volume or MCV and Red Cell Distribution Width or RDW. These tests determine whether someone is suffering from low Hgb and/or low HCT levels in their blood and can help doctors determine a cause. Insufficient iron in the diets. Children who experience sudden growth spurts. This is usually because the iron in the body cannot keep up with the rapid pace of growth. Women who have been pregnant for four months or more. Women who have given birth recently. People who suffer from chronic kidney disease. 2. People can also suffer low levels of Hgb and HCT when they have experienced physical trauma leading to large-volume loss of blood from the body or blood that has been destroyed. 3. If a patient is showing low levels of MCV but higher levels of RDW, then the patient is suffering from a chronic iron deficiency in their blood. 4. If a normal level of RDW is found along with low levels of MCV it most likely means that a hemorrhage has occurred somewhere in the body and is causing the low levels of Hgb and HCT or causing them to become out of sync with each other. Chronic fatigue and tiredness, even when getting 7-8 hours of sleep. Heart palpitations which seem to occur and speed up out of nowhere (a fluttering sensation). Shortness of breath even when the body is at rest. A person’s skin will appear pale and colorless. Hair loss all over the body will occur. For those who already have existing heart conditions, the symptoms will worsen. The severity and intensity of any of these symptoms will depend on a person’s body type and their conditions of anemia. Those with chronic anemia may have symptoms that are less intense since the bodies have got used to the condition. Those with acute anemia, or rapid anemia, may often show far more intense and dramatic symptoms. To properly treat these low levels, a cause for them must first be fleshed out. 1. If the case is being caused by low iron levels, then one must take iron supplement regularly to rebalance the hemoglobin levels. Dietary changes like including more leafy green vegetables and animal protein (primarily seafood and red meat) also help maintain proper iron levels. 2. If the cause is something like a hemorrhage or ulcer, depending on the severity of it, surgery may be required to either remove the cause or repair the damage. Many doctors will prescribe supplements such as vitamin B12 to their patients and some may even need blood transfusions. 3. Sometimes certain medications might be the culprits for low hemoglobin levels. If that is the case, those medicines will need to be stopped immediately. In certain cases there are treatments that prompt the bone marrow to generate more red blood cells for the blood. The accurate cause(s) and the nature of an individual’s condition will be integral to choosing the right treatments.